Happy 1st Birthday, Baby Nautical! Meal Planning: Call for Recipes! I am not a big drinker but I love the nautical bar I set up in my apartment. I found the actual bar at a garage sale for $10! 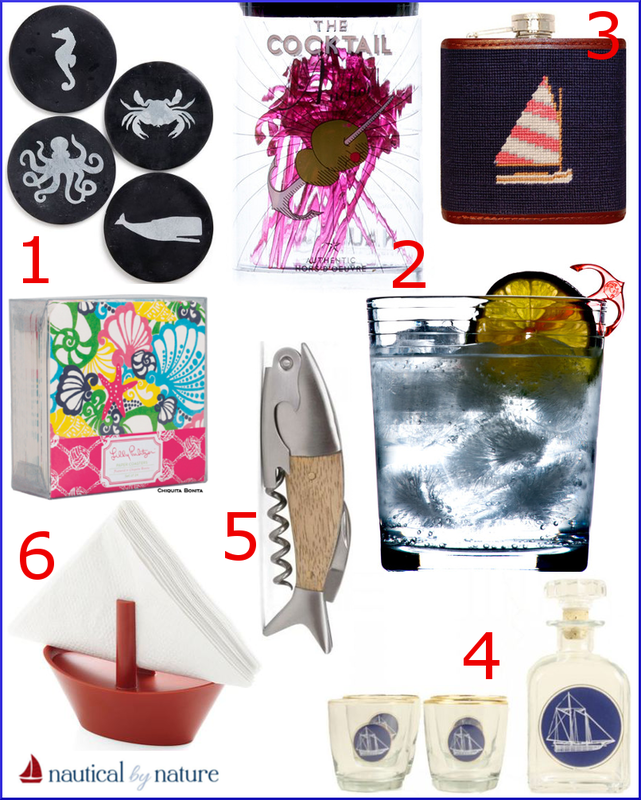 I have quite a collection of nautical coasters and bottle openers now! I have included photos of my bar set up and then tips on setting up your own. 1. Coasters: I like to have a paper set for parties and then a nicer reusable set. Set of four sea creature coasters from Modcloth ($28) and paper set Lilly Pulitzer from the Preppy Princess ($12). I have a nautical set from Michael's, the Thomas Paul anchor set, and then paper ones from Lilly Pulitzer. 4. Decanter set from Furbish ($68, includes 4 glasses). My sister got me this set for Christmas. 6. Napkin holder from Modcloth ($14): Why buy expensive patterned napkins when you can display regular white ones in this little boat? My favorite bar accessory is the bottle opener. I have 3! I love your bar set up, especially all of the corkscrews! So cute!! I love this!! Thanks for the great tips too!! I would love one of these in my future home!! So adorable! a great garage sale find makes a cute setup even better! I absolutely LOVE this! 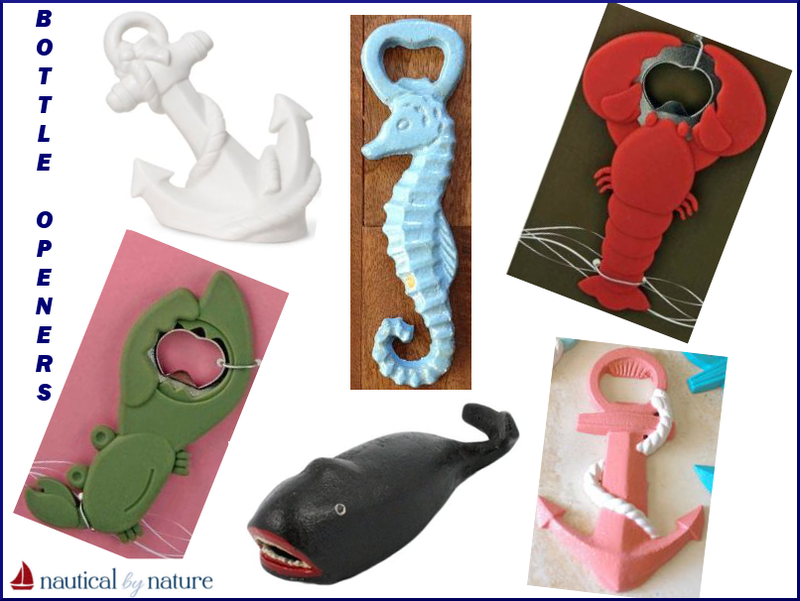 I am moving out on my own soon and cant wait to incorporate lots of nautical details! oh my goodness, absolutely LOVE this!!! This is so cool! I really want a bar in my house. Maybe when the kids move out. Haha! Great job! I really like that Lilly shaker! I wish they would make more with new designs!